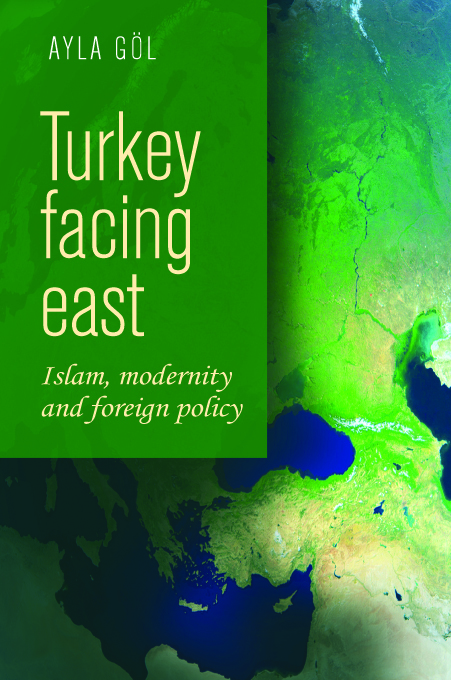 The last sentence of my book, Turkey Facing East: Islam, Modernity and Foreign Policy, keeps haunting me: ‘…but Turkish-European relations via the European Union [EU] in the twenty-first century will probably be helpful in reaching its final destination, an alternative modernity of a Muslim country’ (p.194). I wrote that ‘the rise of Islamic fundamentalism and the Kurdish question in the 1990s can be interpreted as the result of the problematic nature of democratisation, and a reaction to the uneven development of secularism and modernity on the societal level. However, the Turkish transition to modernity is, as Habermas described, “an incomplete project” which had its origins at the beginning of the nineteenth century, and it is still “questioning its present”. Hence, since 2002, the rise of political Islam in the context of the AKP’s tenure in power can be seen as Turkey questioning its present’ (p.194). In the light of most recent developments such as the rise of a self-declared Islamic State (ISIS) in the Middle East and the refugee crisis in Europe I think that it is not only Turkey questioning its present and identity now but also Europe. While Europe has defined its collective identity through differentiating itself from its ‘Others’ Turkey has acted as a mirror to define what it is considered to be European and what it not. Like the Queen in Snow White and the Seven Dwarfs, the EU sees itself in the Turkish magic mirror when the leaders of EU ask: ‘Mirror mirror on the wall, who is the most European of us all?’ Similar to the wicked Queen’s magic mirror, which never lies, the leaders of the EU are not pleased with the magic mirror’s reply that European reflections are not the fairest in the land. 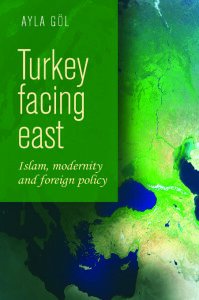 Throughout its colonial history European civilisation had many ‘Others’ – China, India, Japan, Persia, Russia and the Ottoman Empire, but it is crucial to make a distinction in the case of the Turks given the nature of relations between the West and Islam, as well as the war on terror since 9/11. While most ‘Others’ are distant and ‘outside’ the Ottoman Turkey was ‘inside’ Europe as part of the European international system. Historically, Turks since the Ottoman Empire’s entry into the Concert of Europe in 1856 have epitomized the essence of being Europe’s ‘Other’ in a Muslim context in various ways through the centuries, from the capture of Constantinople in 1453, the Vienna sieges in 1529 and 1683 to the twenty-first century. In the past, the descriptions of the Ottoman Empire as ‘Oriental despotism’ confirmed the image of ‘barbarian’/‘uncivilized’ Turks throughout their relations with European powers. In contemporary politics, Turkey’s bid to become a member of the EU has become a major controversy about the nature of collective European identity and its borders. The place of modern Turkey, which was the first secular nation-state in the Muslim context, in the European state system, remains unresolved. Turkey is still the ‘Other’ of the EU as the first Muslim country that achieved candidature. Turkey’s unique engagement with the European project in the form of the EU is a saga since the Ankara Agreement signed between Turkey and the EEC in 1963. Since then, Turkey’s candidacy has been questioned on many fronts. For robust skeptics of Turkey’s candidacy, historically Turks had been at the margins of Europe and its place among the ‘civilised’ union of European states is questionable. While opposition has focused on the supposed differences in the spheres of culture and religion by highlighting its non-European identity that Turkey as a Muslim country would never be able to meet the terms of European norms and values. On the one hand, Mr Valery Giscard d’Estaing, who was President of the European Convention, stated in 2002 that ‘Turkey’s entry into the EU would be the end of Europe because it was not a European Country’ (Le Monde, 9 November 2002). In 2004, EU Commissioner Frits Bolkestein announced that the ‘liberation of Vienna in 1683’ would have been in vain if Turkey joined the EU (Financial Times, 8 November 2004). The most recent harsh oppositions to Turkey’s membership came from President Nicolas Sarkozy of France, who continually declared that ‘Turkey is not European’ – geographically or culturally’ (The Telegraph, 7 August 2009). On the other hand, supporters of Ankara’s candidacy have pointed out that Turkey has always been an important element of the European balance of power and was admitted to the Concert of Europe in the nineteenth century. The UK governments have been staunch supporter of Turkey’s EU membership. In 2009, Mr David Miliband, the Foreign Secretary of the UK, during his visit to Ankara highlighted the importance of Turkish accession to the EU and how it will benefit both sides. Similarly, Prime Minister David Cameron a year later expressed his ‘anger at the slow pace of Turkish-EU negotiations (BBC News, 27 July 2010). While both sides invoke history to justify their arguments there is still no agreement in positioning Turkey in between Europe and Islam. Under the shadows of some allegations with reference to the AKP’s tendency towards undemocratic governance and President Erdogan’s authoritarian ‘one-man’ rule, the hidden agenda of Islamisation of the state as well as support for the ISIS fighters have rekindled the debates about Turkey’s place among the ‘civilised’ union of European states. It seems that, as Tariq Ramadan argues, ‘Turkey is part of Europe’ but fear, xenophobia and, of course, Islamophobia keeps it out of Europe. (The Guardian, 6 August 2009). When Sir Winston Churchill once forecasted ‘a kind of United States of Europe’, in which Britain would play a key in helping to achieve such a European dream, he most probably did not envisage including a Muslim country. The British candidacy of the EU itself has turned out to be an uneasy relationship, in that current British governments stayed out of the Euro economic zone and have been discussing the possibility of leaving the EU in the near future. Paradoxically, the only two countries that share a similar experience and can make sense of their exclusion within the EU are Turkey and the UK. While London is questioning its membership within the EU Ankara is almost being given a magic carpet to fly into EU membership in the wake of current crises in the Middle East and North Africa. When German Chancellor Angela Merkel, who has long opposed Turkey’s joining the union, visited Ankara on 18 October 2015 she promised to support speeding up the process. Many see this turn as a concession – or ‘bribery’ as Slavoj Žižek puts it in ‘We need to talk about Turkey’ – to have Turkey as a gatekeeper of Europe’s borders against the largest flow of migrants since the Second World War, as people flee from civil wars in Iraq, Libya and Syria as well as the violence of ISIS. What has changed within the last decade that the EU leaders have altered their perceptions of Turkey? Has Turkey become more European than it was in 2002? Is Turkey under the AKP rule making excellent progress in the promotion of democracy, human and minority rights? While the answers to these questions are a resounding ‘No’ there is a clear twist in the EU’s perception of Turkey in 2015. Ankara and Brussels reached a deal in that Turkey, which hosts the largest number of refugees (nearly 2.2 million), will receive financial support (initially €3bn) in return for curbing the flow of refugees into Europe. As Žižek says, ‘the opportunistic-pragmatic justification of this deal is clear (is bribing Turkey not the most obvious way to limit the flow of refugees? ), but the long-term consequences will be catastrophic’ (Newstatesmen, 9 December 2015). I agree with the first part of Žižek’s claim about the hypocrisy of the EU leaders who are displeased and want to alter their reflections in the Turkish magic mirror. But I disagree with him about the long-term consequences based on socio-historical reasoning that ‘[t]he arguments that locate Turkey outside European history and geography cannot withstand analysis (Tariq Ramadan, The Guardian, 6 August 2009). By way of concluding, I suggest that the EU leaders need to revisit ‘the sick man of Europe’ in order to take Turkey out of a centuries-long coma if they want to keep European civilization alive, as indicated by their founding father, Jean Monet: “Human nature does not change, but when nations and men accept the same rules and the same institutions to make sure they are applied, their behaviour towards each other changes. This is the process of civilisation itself’. In the spirit of Monet, the process of civilization itself calls Europeans to change their behavior towards the Turks, who have had strong aspirations to mirror image European modernity in the Muslim context. It is Europe’s turn to make peace with its self-reflection in the Turkish magic mirror, instead of trying to destroy it.